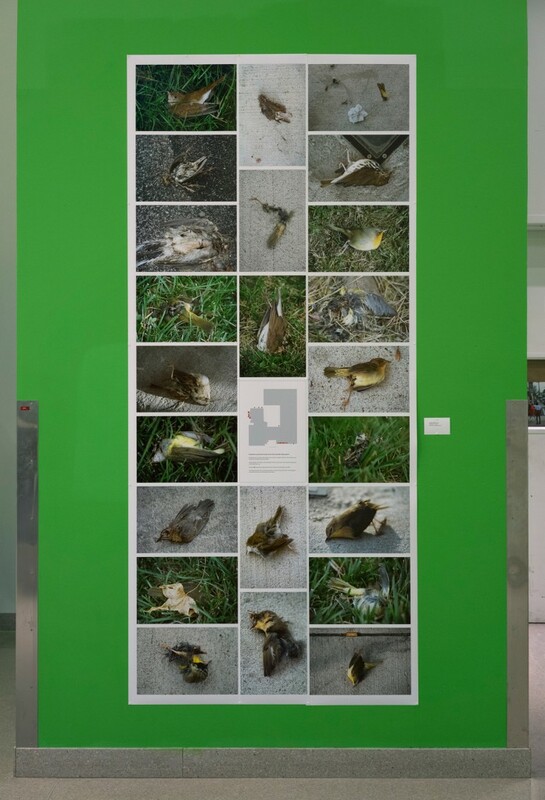 27 Dead Birds was a site-specific installation in the main hallway of Tyler School of Art during October of 2014. The work included photographs, video, and a place for community members to respond. The installation also included an image of the building’s footprint, which mapped the locations of the dead birds. Bird deaths due to collision with windows are common at Temple University. This is a likely cause of death for all of the birds pictured here. All photographs were taken in the immediate vicinity of Tyler School of Art between August 30 and October 8, 2014. 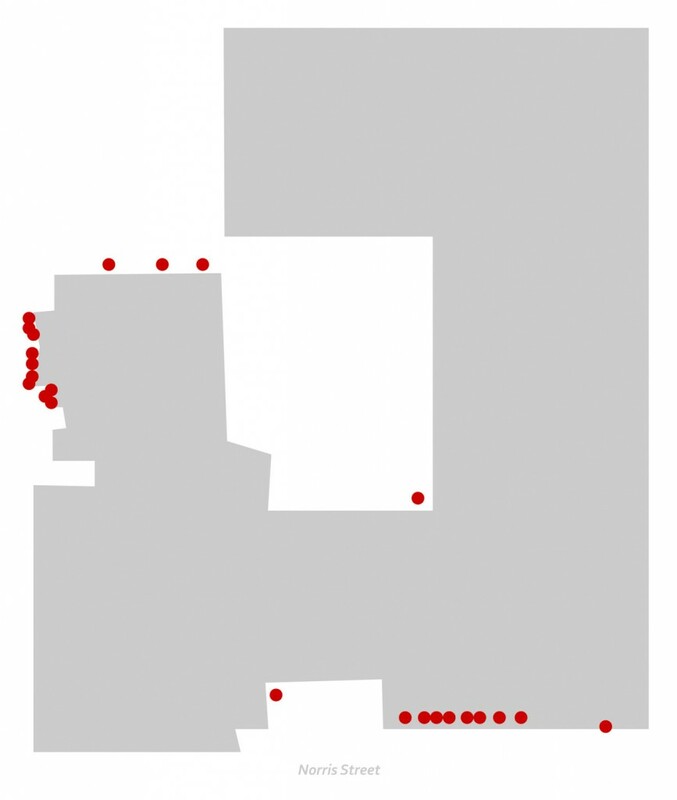 Red dots represent the approximate location where each photograph was taken. Presumably birds also die from hitting the eastern windows facing 12th Street. No photographs were taken there due to the thickness of the bushes. Bird Breathing from Stephanie L. Rogers on Vimeo. 1 minute, 2 seconds.